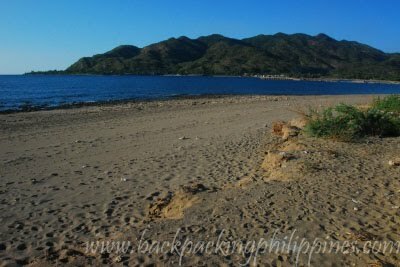 Continuing with Tutubi's tour of Ilocos Sur, dubbed by the Ilocos Provincial Government's "Perfect Vacation Package" mentioned Sulvec Beach in Narvacan town. Tutubi asked around how to get to Sulvec Beach and also to look for an old Spanish Watchtower called Bateria (Battery) that he wasn't able to find (that The Pinay Solo Backpacker may have found) since it's hidden from view that should be the case. The come on of this beach however is it's lack of people, a plus for Tutubi who prefers deserted beaches, the presence of tall grasses and the rocky sceneries can be the subject breathtaking landscape photos and probably movie location shoots for a more authentic rural seaside scene. 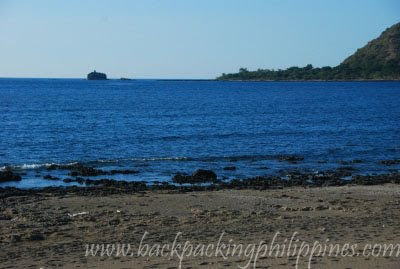 Now where can we find the best beach of Ilocos? Tutubi still thinks it's still Pagudpud, Ilocos Norte and down south in La Union province. Tutubi's going back to Ilocos Sur in a few days/weeks time and will probably look for Bateria and other old Spanish Watchtowers in the area. Many times I'd prefer the peace and quiet of a deserted beach. How have you been? paraiso ni juan nearby is where most of the townsfolks have picnics and swim. it used to be that you could go out to the grotto walking on the corals during low tide but the corals just grew tougher to walk on as years go by. 'ang panday'movies were filmed in that grotto of the virgin mary. the watch tower is kinda unnoticeable a mile away from sulvec towards vigan cos there are no signs and its covered by trees. sulvec is the best part of narvacan and most people who go back to the philippines take time to walk along the beach to the now dilapidated 'pantalan' (pier).